Mladiinfo International promotes and mediates the communication between young people, students, professors, researchers, university officials, youth NGOs and all those involved in the educational process in Europe and worldwide. 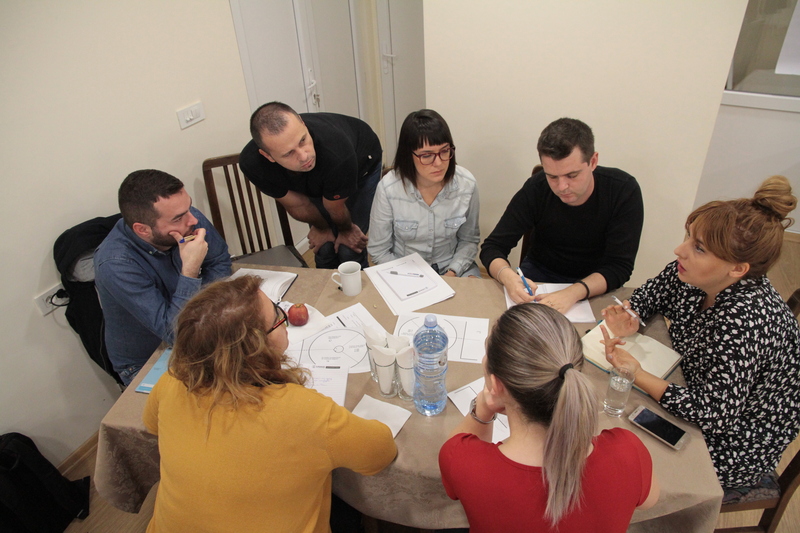 Representatives of youth organizations and representatives of municipalities from Macedonia on the first capacity building training of YBNM learned what they should do to introduce the innovative model of youth banks in Macedonia. The model of youth banks foresees the creation of funds for youth at the level of municipalities that will be filled with funds from the municipalities themselves, donations and projects, but also from the business community, and will be exclusively intended for supporting local initiatives from young people. The youth within this model not only apply with project ideas, as informal groups but also they will be the decision makers in the process which ideas will be supported. This way, young people gain autonomy, decision-making rights, entrepreneurial skills and employment skills, but also with teamwork, empathy, recognition of local problems. 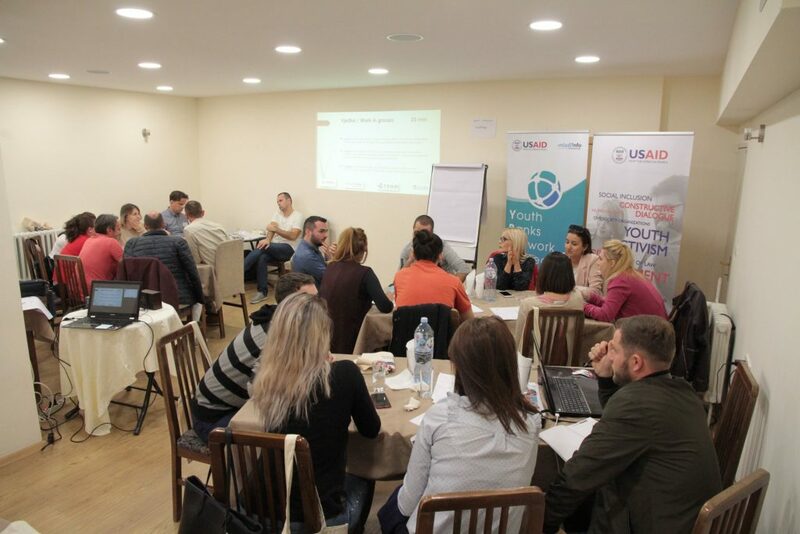 The model of youth banks in the country is introduced by the Youth Banks Network of Macedonia, a project of the Association for Education Mladiinfo International, supported by the USAID’s Civic Engagement Project. The model exists in 25 countries in the world, and behind the Youth Banks Network, there are 13 relevant youth organizations from Macedonia that are committed to youth employment, their participation and activism and better quality of life. Representatives from the municipalities of Ohrid, Struga, Novaci, Bogovinje, Kisela Voda and Gazi Baba, as well as representatives from the members of the Youth Banks Network Macedonia, Mladiinfo International, CEFE Macedonia – Bitola, Youth Alliance – Krushevo, Poraka Nova – Struga, Youth Council Prilep, Multikultura – Tetovo, Youth Can – Skopje, Volunteer Center Skopje, Inova Lab – Bitola, Interkultura – Skopje, Inclusion – Ohrid and Youth Empowerment Platform – YEP- Gostivar, attended the training held at the Hotel Ambassador in Skopje, between 14-18 October. 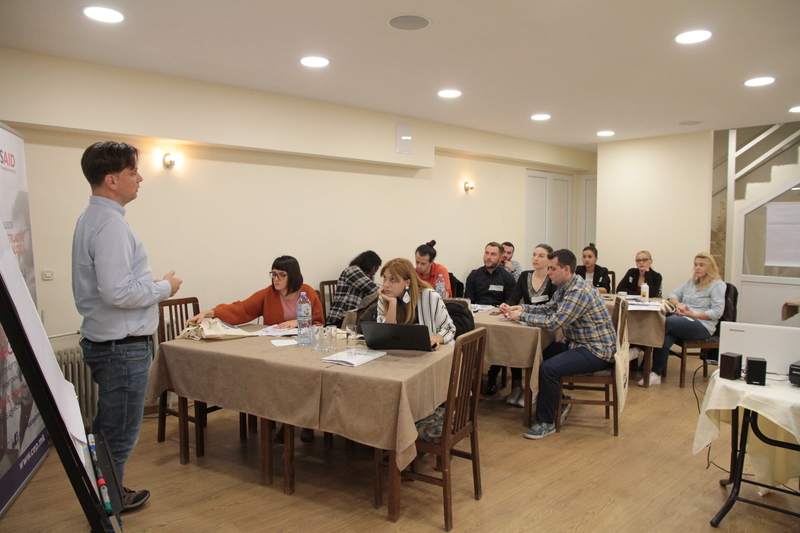 The purpose of the first training that was held in Skopje was to familiarize the stakeholders with the basic principles and values of the model, understand the procedures for its introduction, and develop documents that will help in the advocacy processes and the establishment of such funds for young people. 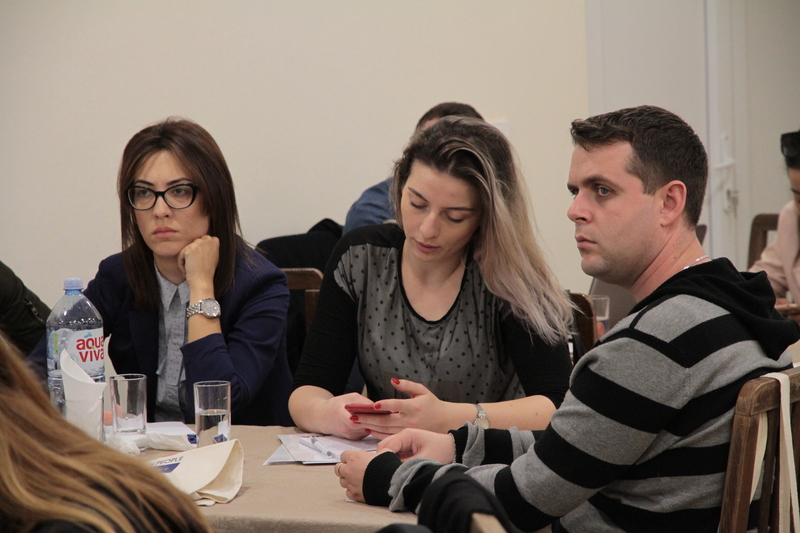 Оne of the sessions at the training was dedicated for the First plenary meeting of the YBNM members where the representatives of the member organizations discussed about the future of the Network, the two year plan for advocacy and how to communicate with all relevant stakeholders. “The model of youth banks will encourage young people to be bolder in highlighting their ideas and by engaging them in projects to develop their life skills. With this model, young people will be directly involved in local development, which will create mutual trust between municipalities, youth and the community, “said Kristina Dimova from the municipality of Kisela Voda. 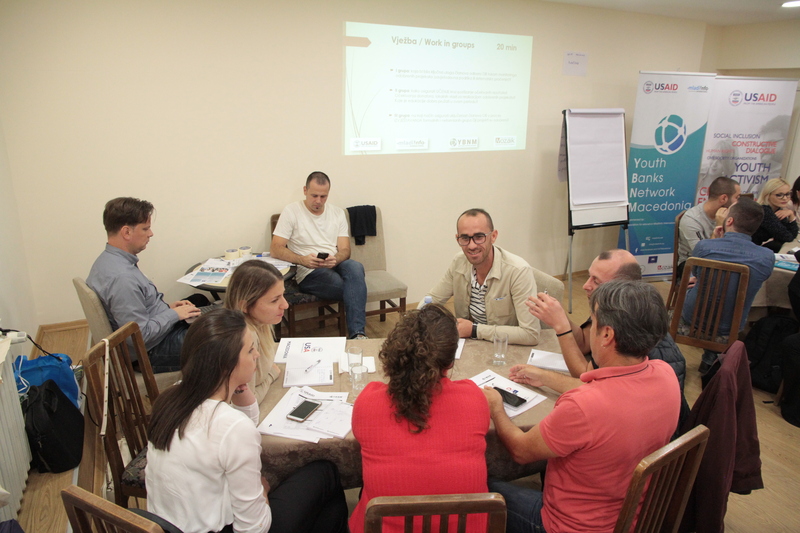 The participants had the opportunity to learn from the best examples in the region, using the knowledge and experience of the Mozaik Foundation from Bosnia and Herzegovina, which have been implementing this model for ten years. So far in the youth banks in BiH have been squeezed over 3 million Euros and have been supported more than 1700 projects. “The model of youth banks will give young people the opportunity to realize their ideas, to implement their knowledge and skills, and they will be offered mentoring, financial and technical support. Through this model, I believe that young people will develop a sense of greater responsibility, will have the opportunity to create solutions for the problems that they encounter in their everyday lives,” said Silvija Popcanovska, CEFE Macedonia, from Bitola, one of the founding members of the Youth Banks Network – Macedonia. Ana Alibegova, Project Manager and Director of Program Development of Mladiinfo, added: “The model of youth banks is the only model for its innovation that involves youth directly in the processes: preparing youth projects and deciding which initiatives to support, young people learn to think critically, work in a team, think as entrepreneurs, write and manage projects. Youth banks encourage employment skills among young people through their direct involvement. There are no more inefficient trainings, workshops for starting a business, without starting a business, everything is learned at “first hand”. By the end of the year there will be another training for capacity building, in which youth organizations from the Network, representatives of the municipalities and other interested stakeholders will be invited. The Youth Banks Network Macedonia project is supported by Civic Engagement Project-Macedonia.